Once again, Kershaw’s Garden Centre is holding some fun and interesting events over the half term. There will be a small charge for materials. 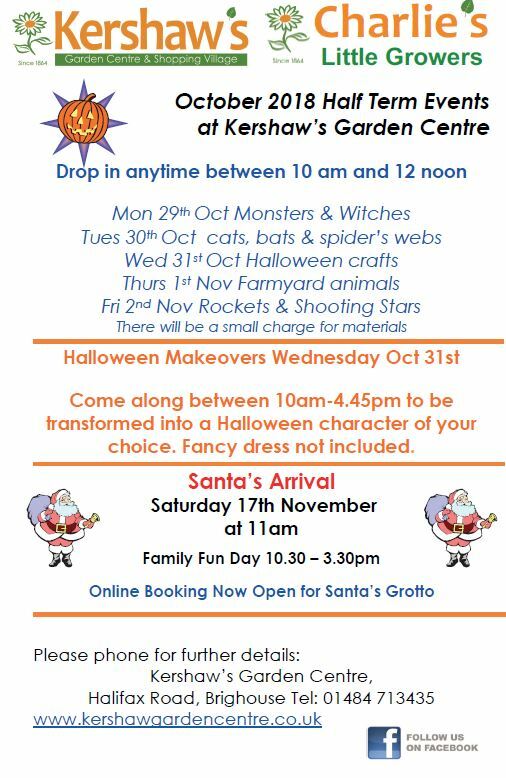 Halloween Makeovers will be made on Wednesday 31 October, 10:00am-4;45pm when you can be transformed into a Halloween character of your choice. Fancy dress not included. This entry was posted in Brighouse, Events, Nov, Oct, Young People and tagged Kershaws Garden Centre.